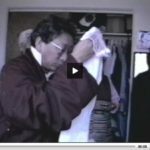 This video footage was shot in Bhutan, Nepal, and France in 1990 and 1991 by Lama Ugyen Shenpen, who was a close student of His Holiness Dilgo Khyentse Rinpoche. In 1976, Lama Ugyen accompanied His Holiness during his first visit to the United States, serving as his attendant and secretary. At the conclusion of the visit, Lama Ugyen remained in the United States and became an invaluable advisor and translator for the Shambhala community until his death in 1994. The images captured in this video convey a glimpse of the profound devotion that is at the heart and root of the practicing lineage of Tibetan Buddhism. Lama Ugyen’s devotion and service to Dilgo Khyentse Rinpoche, and to the lineage of Kagyu and Nyingma teachers, are a genuine inspiration for dharma students in the West. The soundtrack of Devotion is the reading of a poem by Dilgo Khyentse Rinpoche to Lama Ugyen Shenpen. The poem was translated by Nelson Dudley, and is read here by Brigitta Karelis. Copyright 2006 for fundraising purposes only. Please do not reproduce without written permission of the Konchok Foundation. Thank you to Mike Smith for his work on preparing this video for web presentation. Lama Ugyen Shenpen was a close student of His Holiness Dilgo Khyentse Rinpoche. In 1976, who accompanied His Holiness during his first visit to the United States, serving as his attendant and secretary. At the conclusion of the visit, Lama Ugyen remained in the United States and became an invaluable advisor and translator for the Shambhala community until his death in 1994. 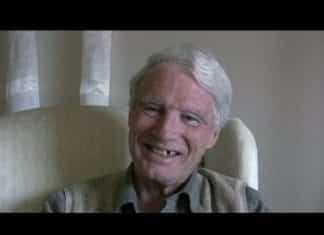 This footage is from a three-hour interview Cathy Hubiak and Bill Scheffel conducted with Kunga Dawa, Richard Arthure, earlier this year.